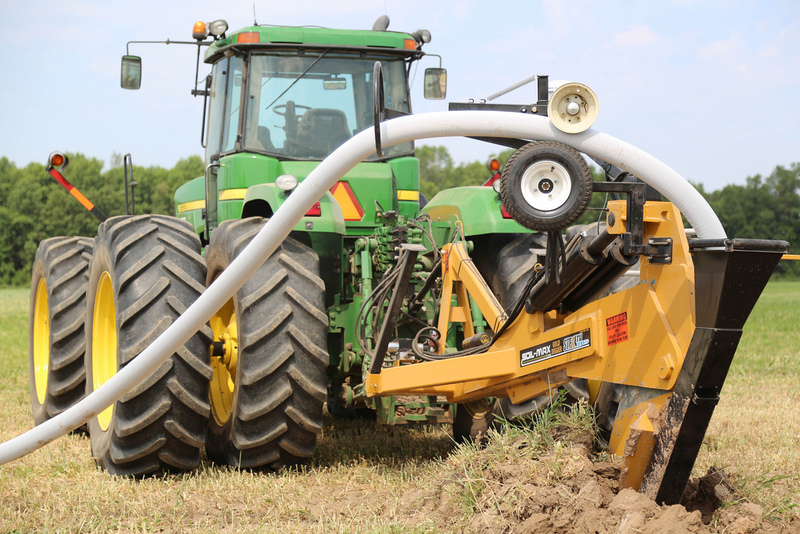 Making sure that your fields have proper drainage is incredibly important to your yield. That is why we offer ag drainage equipment from Soil-Max. With SoilMax's Gold Digger next-generation tile plow, installing drainage tile is no longer a grueling and seemingly endless task. The top-notch water-management equipment from Soil-max makes it easy to keep your field from becoming a soggy, muddy mess. Our main goal at West Enterprises is to make your job as a farmer easier. That is why we carry the best product names and make their equipment easily available to you. Whether you need a drainage trencher, tile cart, RTK survey equipment, or a tile plow, we can help you out. Request a free quote for Soil-Max equipment from West Enterprises today! Gold Digger: This tile plow is a next-generation design that makes tiling a field easy and affordable. You can use this plow with a tractor that you already own, making it an even more cost-effective option for your ag drainage needs. HD Cart: The Soil-Max HD tile stringer cart increases productivity by utilizing an innovative design. It also has a wide tiling range that allows it to get the job done fast. The efficient tile spool design makes it easier to transport and set up, which means that you waste less time. RTK GPS: This GPS is high-quality, and helps you tile accurately and easily. You can use the GPS to obtain a survey by driving the intended path for the tile beforehand to get the elevation and location data that you will need to make tiling easier. Intellislope: The Ag Leader Intellislope can make tiling easier by utilizing the RTK GPS. This combination system renders laser surveying tools and adjustments obsolete. If you want the tiling process to be as accurate as possible, Intellislope is for you. Come visit us in Geneseo, IL or contact us right now for more information on Soil-Max tile plows and cart!